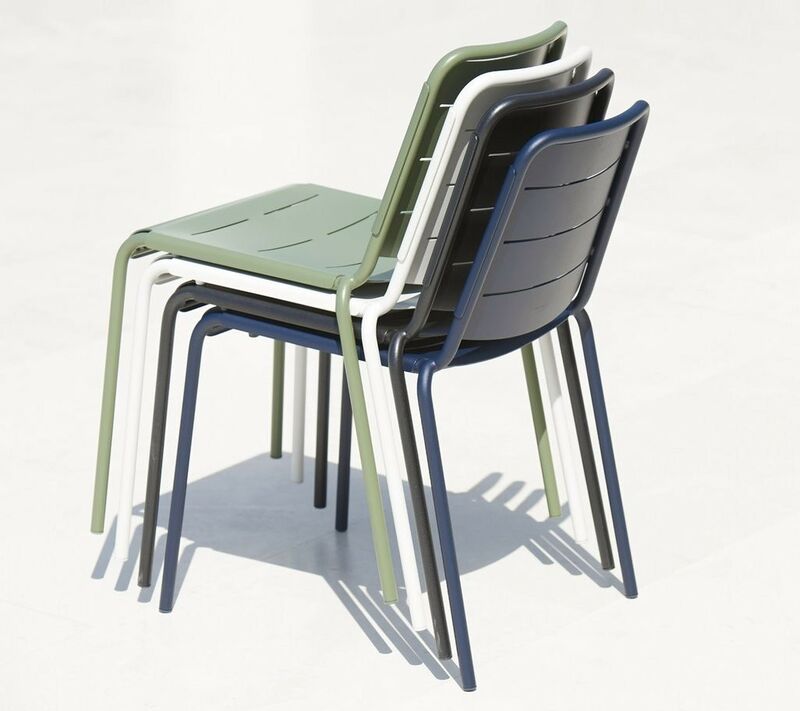 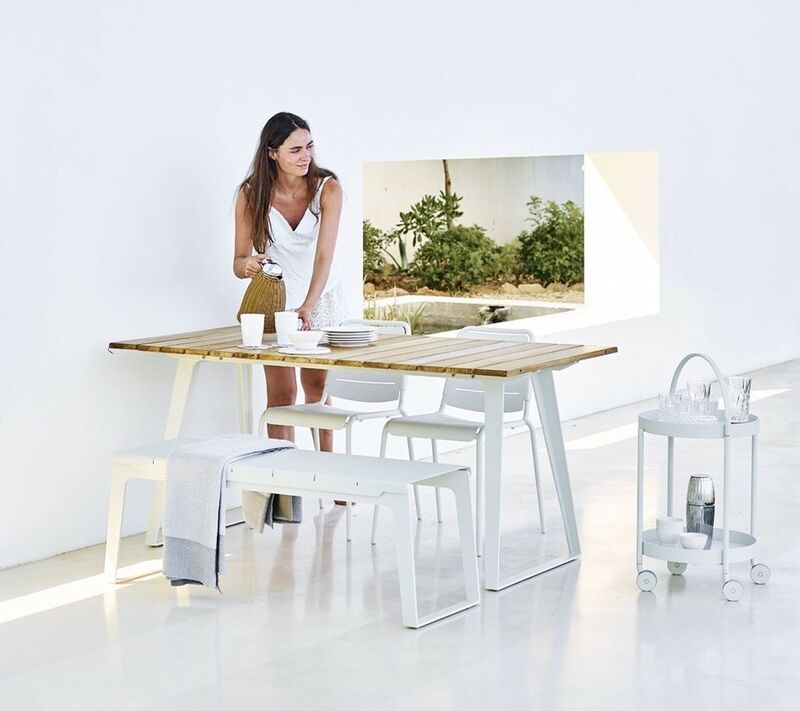 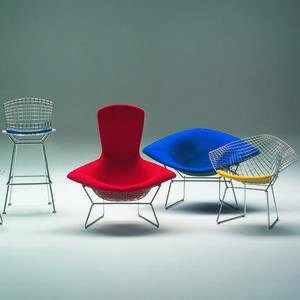 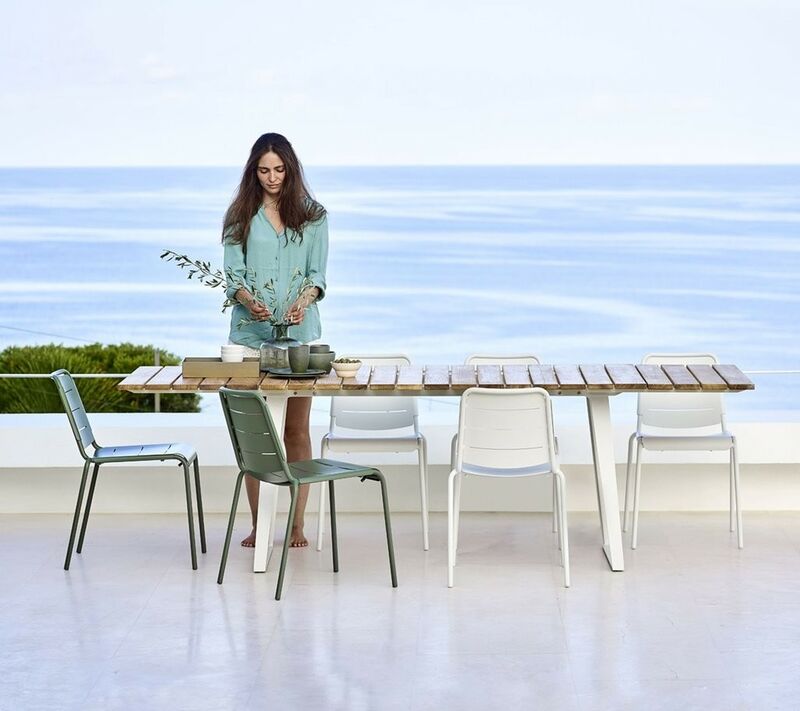 The idea behind the colored, lightweight aluminum chair is that the furniture will be a casual breath of fresh air in the often neutral garden furniture universe, both with colors and a contemporary, light look. 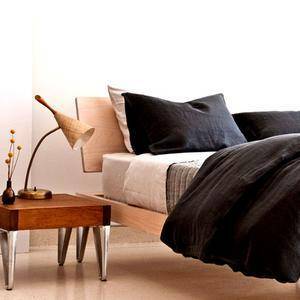 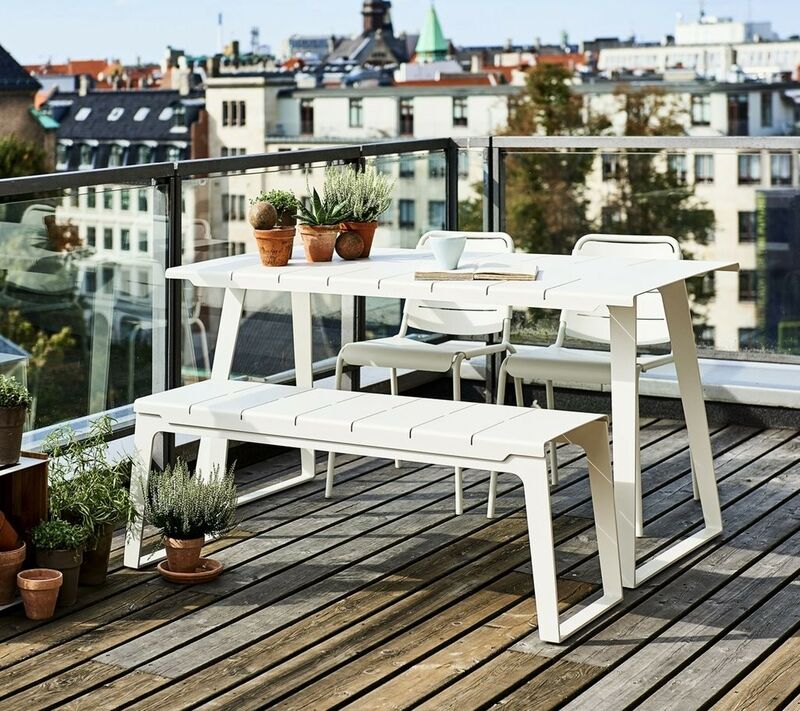 The furniture takes up less space than traditional outdoor furniture. 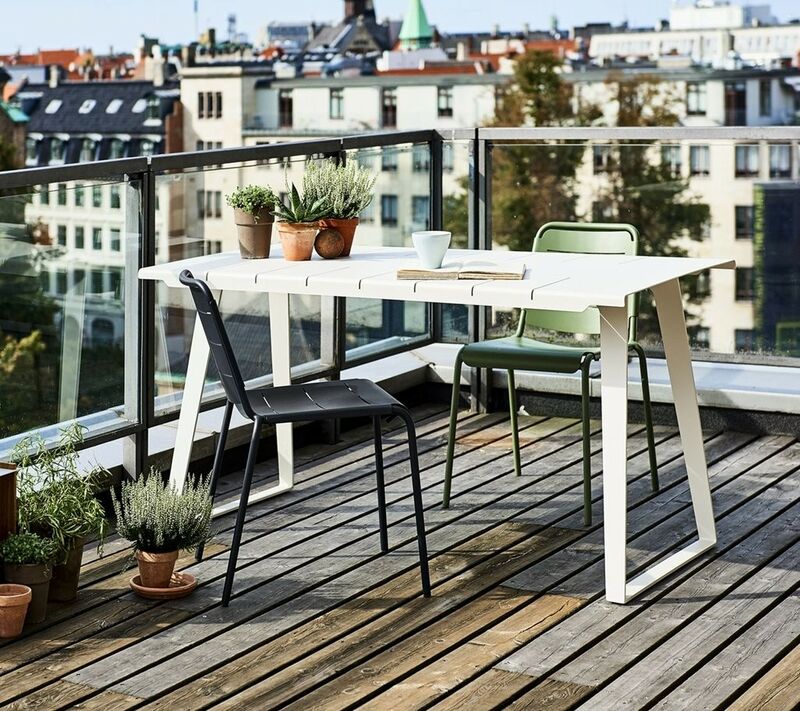 The chair is really comfortable to sit on, despite its lower backrest and narrower seat than the first edition of the Copenhagen chair. 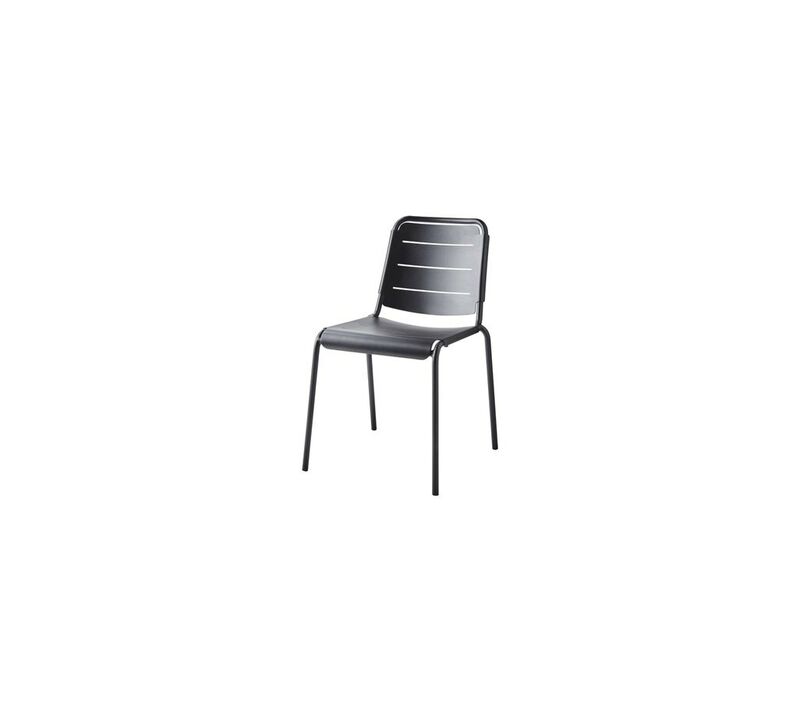 The backrest is also narrower at the top, making the chair more elegant.